If you are in the market for FreeSync monitors for Nvidia graphics cards, this guide is for you. In this guide, we have compiled the best G-Sync Compatible monitors currently out, including both official and unofficial monitors. Except for the curved ultrawide display, all products listed here are more affordable than most G-Sync monitors. This has an officially certified G-Sync Compatible display. Wide adaptive sync range and outstanding response time. Extremely fast response time and very low input lag. G-Sync Compatible monitors are different from true G-Sync monitors. In some areas, they are better while in some areas they are inferior. Below is a comparison of their implementation, including GPU compatibility and pricing. While Nvidia has validated them as free from issues – such as flickering – official G-Sync Compatible monitors don’t offer the same premium gaming experience as real G-Sync monitors. You can think of them as entry-level G-Sync monitors. They don’t have a G-Sync module under the hood and don’t come with some of the features typically included with G-Sync, such as motion blur reduction. The adaptive sync range is also not uniform. For G-Sync monitors, the range typically starts from 30 Hz up to the monitor’s max refresh rate (e.g. 30-144 Hz for a display with a 144 Hz refresh rate). On the other hand, most of the official G-Sync Compatible displays start coverage at either 40 Hz or 48 Hz. Meanwhile, unofficial G-Sync Compatible monitors – the ones tested and verified by users – are a mixed bag regarding overall performance with adaptive sync enabled. While there are dozens of monitors that work perfectly, some only work partially and exhibit a few issues while others only work under specific settings. G-Sync monitors work with Nvidia graphics cards starting from the GeForce GTX 650 Ti Boost, while G-Sync Compatible monitors will only work when connected to GeForce GTX 10-Series, GeForce RTX 20-Series, and newer Nvidia graphics cards, and only when connected via DisplayPort 1.2. For official G-Sync Compatible monitors, the initial setup is seamless. All you need to do is connect the monitor via DisplayPort and install the required driver (R417.71 or later). The adaptive sync feature is automatically enabled once these requirements are met. However, keep mind that your computer must also be running on Windows 10. For unofficial ones, you need to manually set up the feature both in your monitor (the option’s location varies from monitor to monitor) and on the Nvidia Control Panel (in “Set up G-SYNC,” under “Display”). At CES 2019, Nvidia announced only 12 official G-Sync Compatible monitors, many of which are TN monitors with a 24-27-inch screen and a 1920 x 1080 resolution. However, Nvidia also encouraged everyone who owns a FreeSync display and an Nvidia graphics card to try if the adaptive sync feature will work – “it may work, it may work partly, or it may not work at all,” according to Nvidia. If you only include officially certified monitors – there are now 17 of them, as of this writing – G-Sync monitors far outnumber G-Sync Compatible monitors, which isn’t exactly surprising since G-Sync has been around since 2013. However, if you include the unofficial ones, the list of G-Sync Compatible monitors becomes significantly longer – not to mention there is more variety regarding panel type, resolution, and screen size, which gives you more options to choose from. The biggest advantage of G-Sync Compatible monitors is their pricing. They are much more affordable than G-Sync monitors, which is big news for people who can’t afford those G-Sync monitors selling for well over $500. This is because G-Sync Compatible monitors are basically FreeSync monitors at heart and don’t require proprietary hardware from Nvidia. Many of the current officially certified G-Sync Compatible monitors sell for less than $400, with some models selling for just around $200. 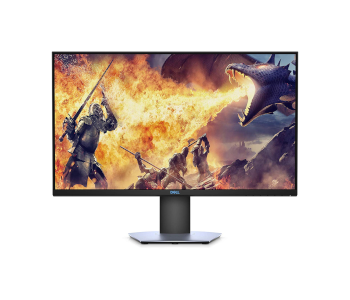 One of the best TN monitors currently out, the Dell S2719DGF is an excellent gaming monitor, featuring an extremely fast response time, a wide adaptive sync range, and a great input lag. It sells for just around $300-350, which is an incredible price point considering what it brings to the table. A 27-inch display with a QHD resolution, the S2719DGF has a simple design that won’t turn a lot of heads, featuring a minimalist profile with thin bezels and a plain back panel with an easily accessible VESA mounting interface, which has a 100 x 100 mm pattern. Compared to Dell professional monitors such as the U2718Q and the U2518D, this unit is not that different regarding overall design. It has an anti-glare screen coating, which helps when using the monitor in a bright room. Like other Dell monitors, the S2719DGF has a set of buttons for menu control instead of a joystick control system similar to that of LG monitors. Located on the bottom-right corner of the monitor, on the underside, the control buttons are easy to use and don’t feel cheaply implemented. The on-screen display (OSD) is also well designed, featuring an organized layout with lots of options to choose from. While not in the same league as Dell UltraSharp monitors, the S2719DGF has good connectivity and is far better than most cheap TN monitors. For input, it has two HDMI ports and one DisplayPort, all of which support FreeSync. In addition, it has four USB 3.0 down ports and two analog audio out ports, one of which is a headphones port with direct volume adjustment. Along with the headphones port, two of the four USB ports are located at the bottom of the monitor, on the left side, which makes them easier to access than the down-facing connection ports on the back panel. One of the bottom USB ports also supports fast charging, which is a nice bonus. The S2719DGF has a sturdy stand with a simple flat base similar to most Dell monitors. The stand, which has basic cable management, offers full adjustment options, including tilt and swivel. You can easily adjust the screen position for more comfortable viewing angles, which is especially beneficial considering TN monitors have narrow viewing angles. If you want to mount the monitor to a wall mount or monitor arm, the stand is easy to remove. Featuring a 144 Hz native refresh rate, the S2719DGF is a fantastic monitor for gaming, especially if you love to play fast-paced first-person shooter games. As mentioned earlier, it has an extremely fast response time and a great input lag, both of which are beneficial in competitive games where being able to react on time is crucial. While not an officially certified G-Sync Compatible monitor (as of this writing), the S2719DGF works great when connected to compatible Nvidia graphics cards, offering a 40-144 Hz adaptive sync range, which is the second-best range among the monitors listed here. The input lag is low whether or not adaptive sync is enabled and regardless of the resolution. Since it supports FreeSync over HDMI, the S2719DGF is also a good monitor for the Xbox One. Regarding picture quality, this monitor is decent, with good out-of-box color accuracy, which can’t be said for a lot of monitors out there, and great peak brightness. While the S2719DGF has better picture quality than most cheap TN monitors, it’s not as good as IPS and VA monitors – the former has better viewing angles while the latter has significantly better contrast. Overall, the S2719DGF is one of the best FreeSync monitors that allows for variable refresh rates when connected to compatible Nvidia graphics cards. The overall picture quality is decent for a TN monitor while the gaming performance is outstanding, especially concerning response time. And the fact that it sells for just around $300-350 is a total steal. Selling for about $200, the AOC G2590FX is our recommended product if you want a budget-friendly option. It’s more affordable than monitors under the AOC Agon brand, and unlike our top pick, it’s an officially certified G-Sync Compatible monitor – it’s actually one of the first 12 G-Sync Compatible monitors announced at CES 2019. The G2590FX is a 25-inch TN monitor with a 1080p resolution, a 144 Hz native refresh rate, and a 16:9 aspect ratio. It has thin bezels at the top and sides – which is great if you care a lot about aesthetics – and an anti-glare screen coating. Compared to the AOC Agon monitor on this list, the G2590FX has a more basic design. Like many LG monitors, the G2590FX features a joystick for menu navigation. 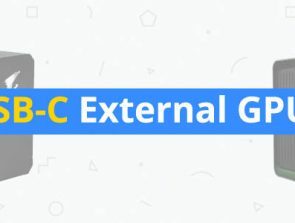 But instead of at the bottom of the monitor, the small joystick is located on the back panel, on the left corner, similar to the Samsung CHG70. While some of you might find it awkward to use initially, the small joystick is intuitive and allows for faster menu navigation. 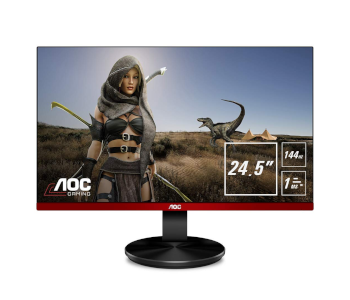 Compared to most cheap TN monitors, this AOC gaming monitor has better connectivity, featuring a pair of HDMI ports, one DisplayPort, one VGA port, and one audio out port – all of which are down-facing at the rear and are easy enough to access. There are no USB ports on this monitor, though, which makes it slightly inferior to our top pick regarding overall connectivity. One of the more disappointing things about the G2590FX is the stand design. The stand, which has a round base, only offers tilt adjustment. You can’t adjust the height nor swivel the screen, which makes it more difficult to adjust the screen position for better viewing angles. If you want a more flexible setup, you can mount the monitor to a monitor arm that offers full adjustment options. The VESA mounting interface at the back has the common 100 x 100 mm pattern, so finding a compatible monitor arm should be easy enough. The G2590FX is an excellent display for gaming, boasting a great response time and a low input lag even when adaptive sync is enabled. 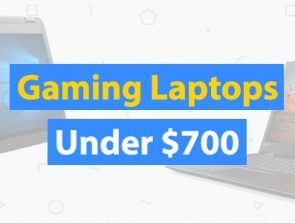 It’s great for first-person shooters, fighting games, racing games, and sports games, with the 25-inch screen allowing you to easily see the entire screen, which is especially beneficial in competitive gaming. Since the G2590FX is an officially certified G-Sync Compatible monitor, adaptive sync works perfectly when connected to a compatible Nvidia graphics card, with no need to manually set up the feature. The adaptive sync range is 30-144 Hz, which is even better than that of our top pick. In addition, the G2590FX also supports FreeSync over HDMI, which is good news if you want to use it for both PC and Xbox One gaming. Whether the monitor is connected via DisplayPort or HDMI, the adaptive sync range is the same. If you mostly play single-player RPGs with pretty graphics, this gaming monitor is not the best option, simply because it has inferior picture quality compared to IPS and VA monitors. It has a low contrast ratio and suffers from limited viewing angles. If you want a gaming display more suitable for games such as Final Fantasy XV and The Witcher 3: Wild Hunt, this isn’t the product for you. While underwhelming in some areas, especially concerning picture quality, the G2590FX is a great budget gaming monitor overall, offering good value for the money. It’s easy to set up if you want to use adaptive sync with an Nvidia graphics card, and it has excellent gaming performance, with fast response time and a wide adaptive sync range. If response times, input lag, and adaptive sync are more important to you than picture quality, check out this affordable AOC monitor. 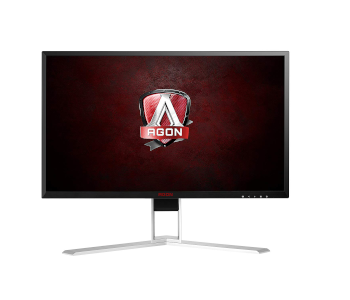 The AOC Agon AG241QX comes off as a cross between our two other top picks, featuring the same resolution as our top pick and similar screen size to our budget pick. Moreover, it’s an official G-Sync Compatible monitor, just like our budget pick. You can get it for just around $300, which makes it a bit more affordable than our top pick from Dell. Compared to our other top picks in this guide, the AG241QX has a more stylish design and definitely looks the part of a gaming-focused product, featuring a large red chevron splashed on the back panel. It has a headphones hook on the right side and comes with a separate control hub that connects using a mini USB cable. If you prefer to go through the on-screen display the old-fashioned way, there is a set of clickable buttons under the bottom-right of the monitor, with small markers on the bottom bezel for easy reference. The on-screen display is also well designed, with an organized layout and a good selection of options to choose from. The AG241QX has a lot of connection ports and can interface with both modern and older computers, offering a mix of digital and analog input ports. For input, it has one DisplayPort, two HDMI ports, one VGA port, and one DVI port, all of which are down-facing at the rear, on the right side of the stand. In addition, this unit has four USB 3.0 down ports and comes with both audio in and audio out ports. Of the four USB down ports, two are located on the monitor’s right edge just below the headphones hook, with the yellow-colored port offering fast charging support. The side-mounted ports also include audio in and audio out ports, which are more accessible than the ones located at the rear. Featuring a V-shaped base, the stand is incredibly sturdy and easily supports the 24-inch screen without taking up a lot of desk space. The stand has basic cable management and features a height marker on the left side, which is useful if you are going to move the monitor and want a reliable method to keep track of your preferred screen height. Unlike with our budget pick, the stand offers full adjustment options. You can easily adjust the height and tilt and swivel the screen for better viewing angles. You can also switch the monitor to a portrait orientation. The AG241QX is a gaming monitor through and through, featuring a high native refresh rate, a low input lag, and an extremely fast response time. It’s great for first-person shooters such as Overwatch, Counter-Strike: Global Offensive, Battlefield 1, and Call of Duty: Black Ops 4. You can easily see the entire screen due to its smaller size, which is seen as an advantage in competitive gaming. This monitor is an official G-Sync Compatible monitor, which means the adaptive sync feature does not require a manual setup – the feature is automatically enabled when the monitor is connected to compatible Nvidia graphics cards once the required driver is installed. It has a wide adaptive sync range, with the coverage starting from 30 Hz up to the max refresh rate, which is 144 Hz, tying it with our budget pick for the best range among the products in this guide. Concerning overall picture quality, this unit is decent for a TN monitor, with acceptable color accuracy out of the box and good peak brightness. It works well in a bright room and has no major issues when it comes to glare handling. On the other hand, the monitor has a low contrast ratio and limited viewing angles, both of which are a given considering the panel type. If you like the Dell S2719DGF but prefer a smaller screen and a more stylish chassis design, go for the AG241QX, which is usually around $50 cheaper. It offers outstanding gaming performance, with low input lag regardless of the resolution, a superb response time, and a wide adaptive sync range. It has decent picture quality as well, which is notable for a TN monitor. If picture quality is more important to you than extremely fast response times, the Acer ED273 will make for a better budget monitor than the AOC G2590FX. Instead of TN – the most common panel used in low-end gaming monitors – this display has a VA panel, which offers better picture quality, most especially regarding contrast ratio. You can get it for around the same price as our budget pick, so the price difference isn’t a big issue. An official G-Sync Compatible product, the ED273 is a 27-inch monitor with a 1920 x 1080 resolution, a 144 Hz refresh rate, and a 16:9 aspect ratio. It has thin bezels and features a curved screen with a sharp curvature of 1800R, which translates to a more pronounced curve. While not easily noticeable in promotional images, this monitor has a 100 x 100 mm VESA mounting interface at the back. For menu control, there is a small joystick located at the back of the monitor, similar to a few Samsung monitors, such as the CHG70 and the CF398. Although some of you might take a while to get used to it, the joystick is more intuitive than the usual clickable buttons seen in most monitors and allows for faster menu navigation. The on-screen display is similarly well implemented, featuring a nice selection of options. This Acer display doesn’t offer much in terms of connectivity, especially compared to the AOC Agon AG241QX. For input, it has a trio of connection ports, offering one DisplayPort, one HDMI port, and one DVI port, all of which are down-firing at the back. There are no USB ports on this monitor, which might disappoint some of you since there are similarly priced products offering at least two USB ports. Like our budget pick, the ED273 has a fixed-height stand that only offers a tilt option for adjustment, which is disappointing. If you want a more flexible setup, you’ll need to mount the monitor to a third-party monitor arm that offers better ergonomics. While limited in adjustability, the stand supports the monitor well, featuring a crescent base similar to LG monitors. The ED273 is a great monitor for gaming, offering a good response time – which is especially notable for a VA panel – and a low input lag. You can use it for different kinds of games, including first-person shooters, action RPGs, racing games, and survival horror games, with the monitor’s high contrast ratio proving to be especially beneficial for the latter. Compared to our top three picks, this Acer gaming monitor has a slightly narrower adaptive sync range of 48-144 Hz. On the plus side, the adaptive sync feature is automatically enabled once the required driver is installed, but only when connected to compatible Nvidia graphics cards using the DisplayPort interface. The monitor performs well when the variable refresh rates feature is enabled, offering a smooth gaming experience with low input lag. Although not as good as IPS monitors, the ED273 has good overall picture quality, with decent peak brightness, good color accuracy, and excellent contrast – the latter of which is a given considering the panel type. However, the monitor has inferior viewing angles compared to IPS monitors, and the low pixel density due to the 27-inch screen and 1080p resolution will disappoint some of you. In all, the ED273 is a good alternative to the AOC G2590FX if picture quality matters more to you than response times. The overall picture quality is better than that of our budget pick, especially concerning contrast ratio, while the gaming performance is good for a low-end VA monitor. The curved screen doesn’t really add much, though, considering the screen size and aspect ratio. G-Sync monitors are expensive, and that’s especially true for curved ultrawide models, which usually sell for around $700-900. 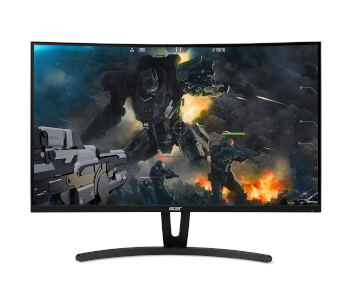 If you want a relatively more affordable curved ultrawide display that will allow for variable refresh rates when connected to Nvidia graphics cards, check out the LG 34UC79G-B. It sells for around $500-550, making it much more affordable than G-Sync monitors with the same screen size and aspect ratio. A 34-inch IPS display with a 2560 x 1080 resolution and a 21:9 aspect ratio, this LG product is well designed, featuring thin bezels at the top and sides. The monitor’s overall design is a bit more stylish compared to most flat LG monitors, with red accents on the back panel and stand. The screen has a curve radius of 3800R, which translates to a softer or less aggressive curvature compared to 1800R and 1900R curved monitors. Like other LG monitors, the 34UC79G-B features a joystick for menu navigation, located at the bottom of the monitor. The small joystick is well implemented and doesn’t feel cheap compared to the joystick control of some monitors, though some of you might find it awkward to use. This LG product has much better connectivity than the Acer display above, which isn’t all that surprising considering the big price difference between them. For input, the monitor has two HDMI ports and one DisplayPort, with the adaptive sync feature limited to the latter interface when connected to an Nvidia graphics card. In addition, the monitor has two USB 3.0 down ports and two analog audio out ports (headphones port and standard line out). All ports are outward-facing on the back panel and are easy to access. The monitor’s stand has basic cable management and easily supports the large screen, which weighs around 14 pounds without the stand. The stand base is different from that of most LG monitors, featuring a wide V-shaped design instead of a crescent one. Regarding ergonomics, the stand is limited, only offering height adjustment and tilt. If you want a more flexible setup and/or prefer a space-saving setup, you can mount the monitor to a wall-mount using the 100 x 100 mm VESA mounting interface at the back. Of the monitors in this guide, the 34UC79G-B is the most suitable for all-around usage, due in large part to its IPS panel and screen size. It works well for gaming, office work, and general use, with the ultrawide screen allowing for easy multitasking. The overall picture quality is good, with wide viewing angles, decent brightness, and great color reproduction. While the contrast ratio is subpar overall, it’s better than that of most IPS monitors. In terms of gaming performance, this LG unit is great, featuring a fast response time for an IPS display and a low input lag. It’s a great monitor for first-person shooters, racing games, flight simulators, and open-world action RPGs. The adaptive sync range is 50-144 Hz, which is not as good as the ranges of the other monitors on this list. In addition, this monitor is not an official G-Sync Compatible monitor (as of this writing), so you need to manually set up the variable refresh rates feature. Unlike with the Acer ED273, the curved screen of this monitor makes for a more immersive experience when gaming, which is the big reason it’s great for racing games and flight simulators. 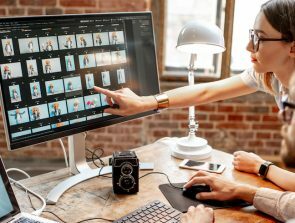 However, compared to curved ultrawide monitors with a sharper curvature – such as the Dell Alienware AW3418DW and the Acer Predator Z35P – the 34UC79G-B is less impressive due to its softer curve. 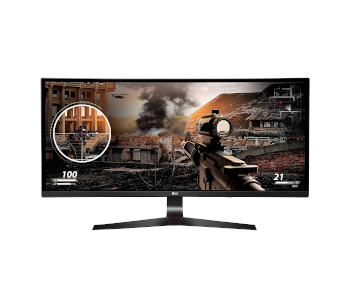 Overall, the 34UC79G-B is one of the best G-Sync Compatible monitors, with no major issues when using variable refresh rates with compatible Nvidia graphics cards. 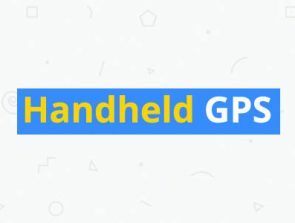 It has good picture quality and gaming performance and offers good connectivity. If you want a curved ultrawide option, check out this LG monitor.